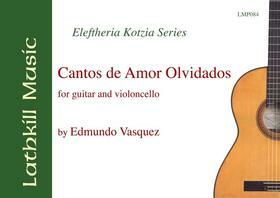 This was the first publication in the 'Eleftheria Kotzia Series', a series of works which feature in the concert repertoire of this wonderful Greek guitarist. "This is an interesting and individual work that is romantic and melodic in nature. ...this work would sit nicely in a recital and really ought to get a hearing or three." - Classical Guitar Magazine.